We've been slowly, but surely working on our bathroom remodel and I thought it was time to give you guys a little update and tutorial. As I mentioned before, our Master bathroom is tiny and we've been working on some storage solutions that have both form and function. In case you missed it, you can read all about the floating shelves here over on MakeIt-LoveIt. 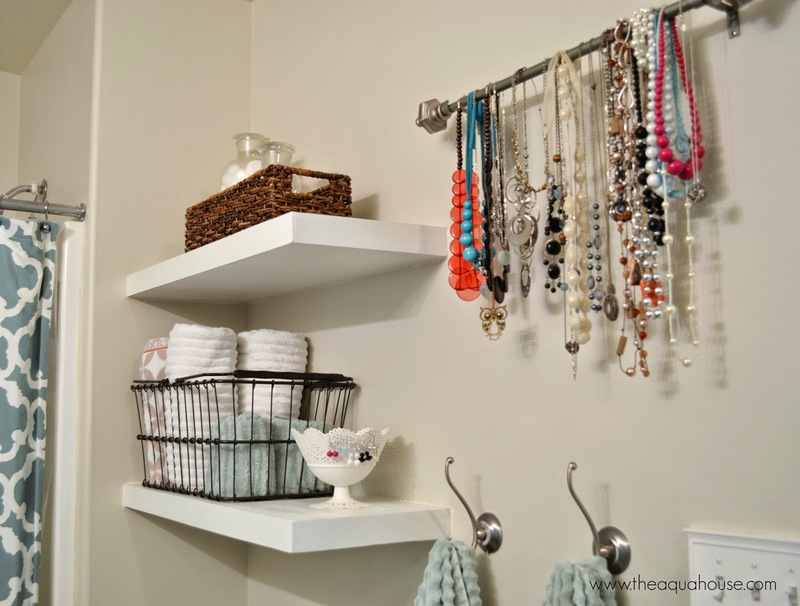 The first step is to measure your wall space to determine how big you want your Necklace Display. 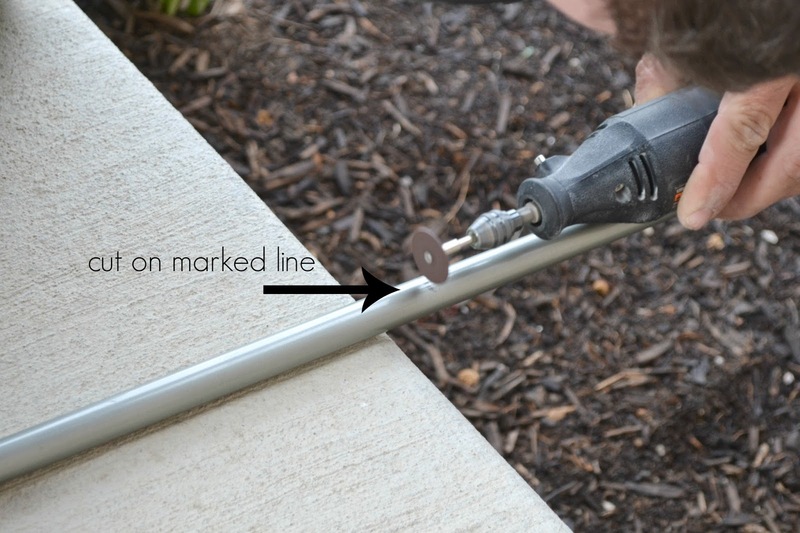 Next you will pull your rod apart and mark on each side of the rod where you need to cut. Remember that your rods will still need to slide together so add in an inch or so for that. 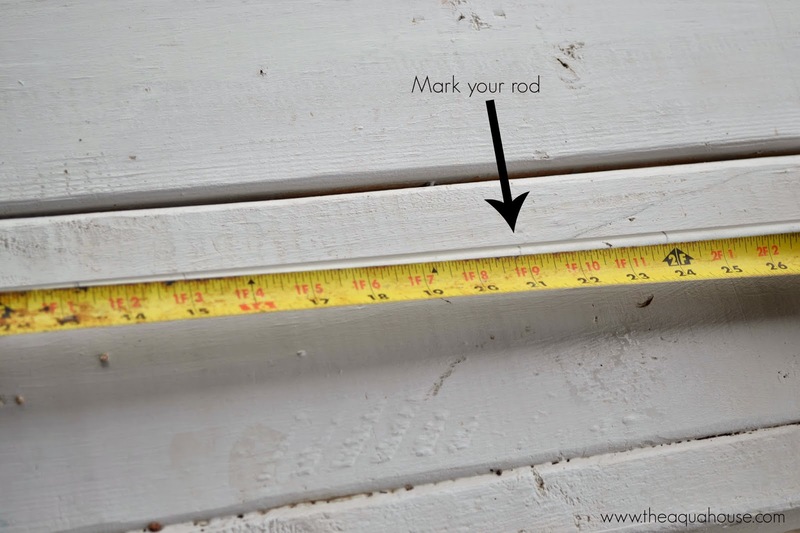 Make sure that you take into account the length of your finials when you are measuring. We decided it was easiest to measure the rod only but add in the finial measurements when measuring the wall. You may notice in your rod that there is a plastic stopper. 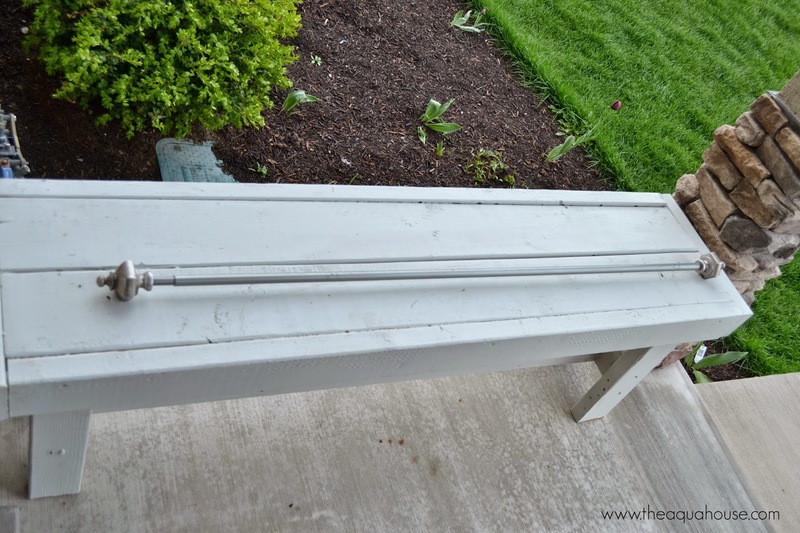 This piece makes it so the rods fit together well and so that the rod will stay at the desired length you pull it out to. You will need to remove this piece before you cut so that you can add it back in later to the shortened piece. Trust me, your necklace display will slip around if you don't have this piece. 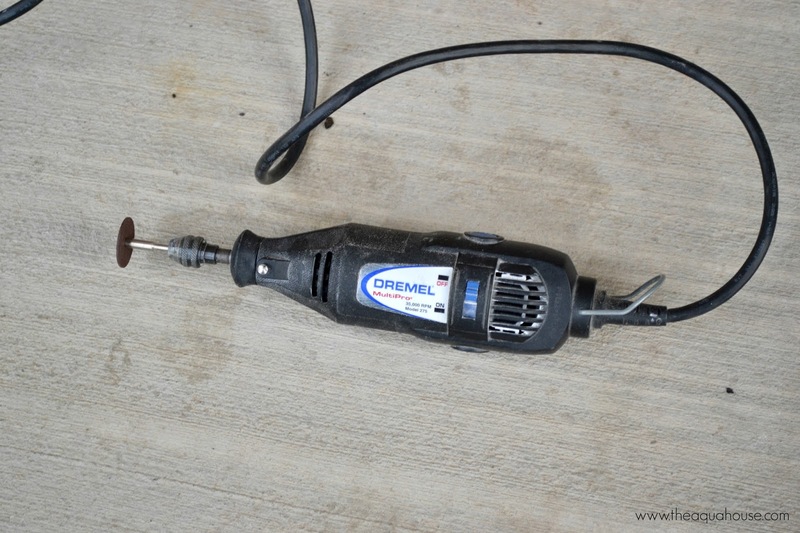 Next grab a Dremel with a cutting blade attached. 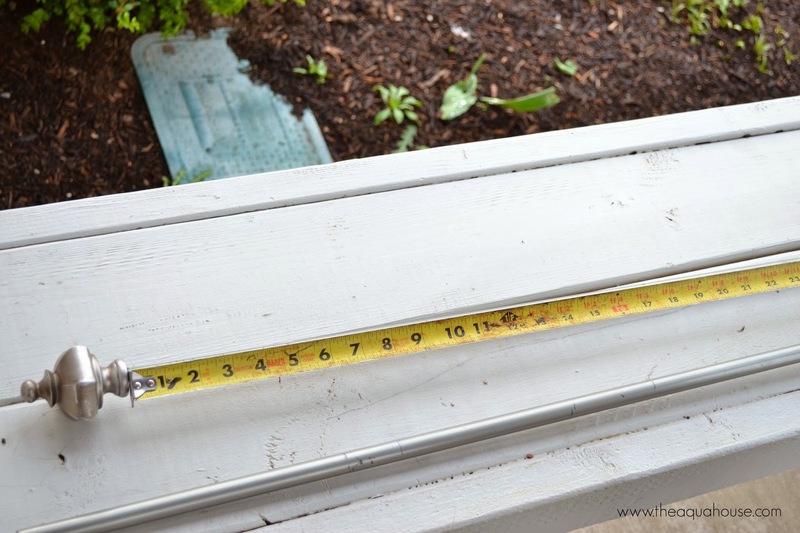 We found this was the best method to cut our rod, however you could also use a hack saw…it just might take more time. Cut on the lines that you marked on both pieces of the rod. 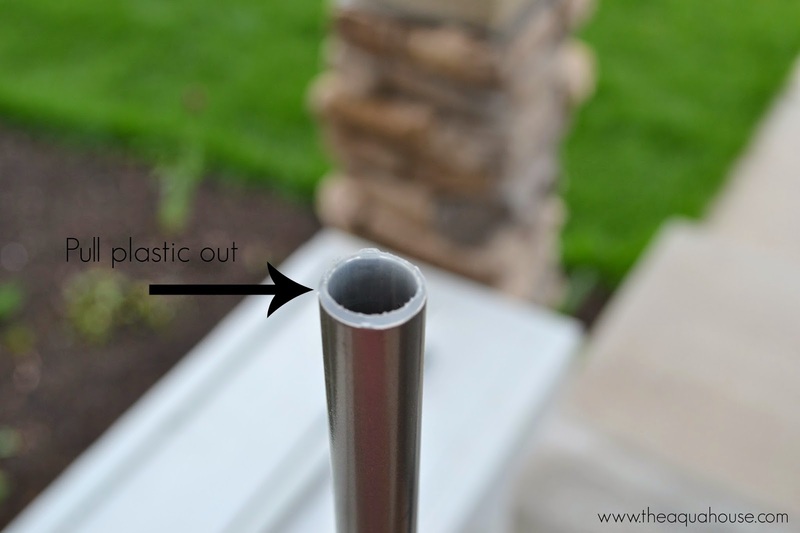 Pop your plastic piece back into the rod and slide your pieces back together. 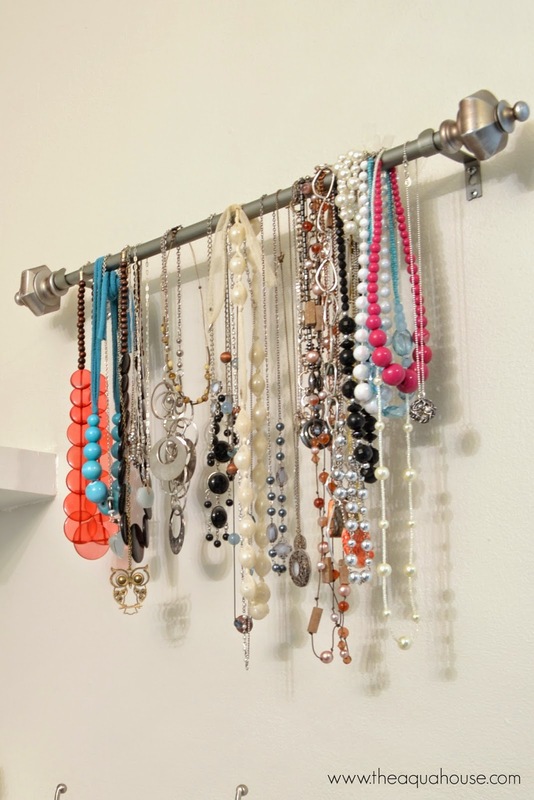 Using the drill, attach the Necklace Display to your wall using the original hanging hardware that came with the rod. 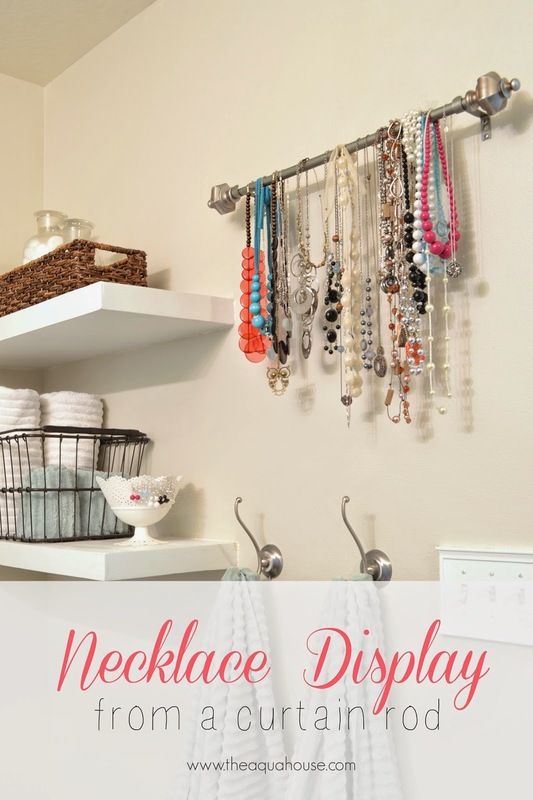 This display works fabulously as the necklaces can't slip around and fall off. Better yet, it keeps them nice and organized so they don't become tangled. 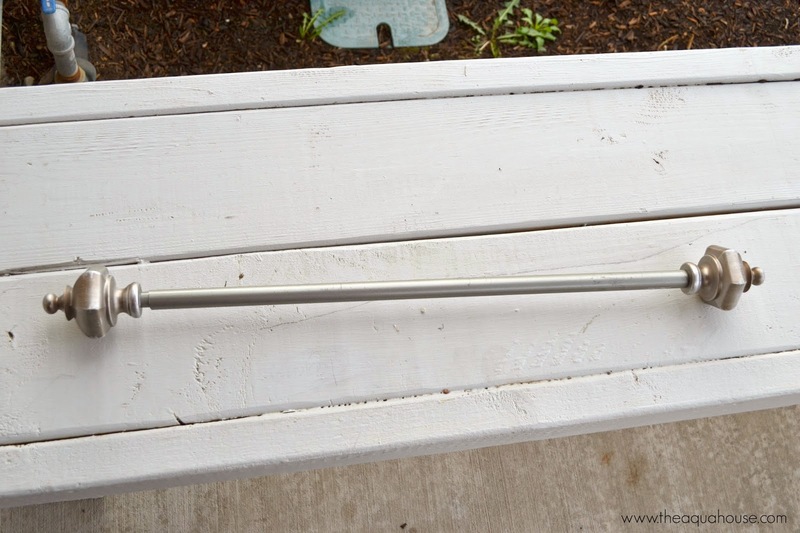 It is super easy to lift up your rod and grab your favorite necklace. And what happens when you want a necklace that's in the middle? You can easily undo its clasp and take it off. I'm excited to finally have a decent way to organize my necklaces…and I love that they are out of the reach of my little guys.